Use the Diablo Golf Handicap Tracker to establish a USGA Handicap Index®. Use DiabloGolf to post scores, reviews, ratings and to track your friends. 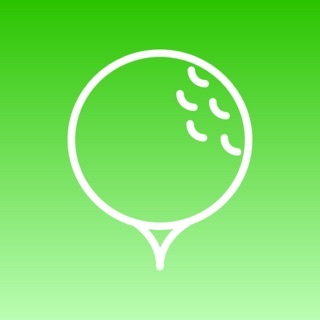 The #1 Golf Handicap App in iTunes is now FREE. Enjoy! 3.2.6 App has been optimized for iOS 11 and the iPhone X. In addition to some bug fixes we have added gestures and speed enhancements (especially around finding friends from your contacts). We are now requiring iOS 9 for DiabloGolf. Sorry to any iOS 8 or older users. We always try and hold out as long as we can. 3.2.3, 3.2.4, 3.2.5 Small update to hold you over. Optimized 6/6S layouts, Spotlight Search for Friends, Bug Fixes. Some ios7 and ios8 users were having issues so we did an update (3.2.4) to squash the bug. 3.2.2 We are now requiring a minimum of iOS 7 to run DiabloGolf. We intended to do this in 3.2.1 but it slipped through the cracks. Sorry to any iOS 6 users we held out as long as we could. DiabloGolf will now provide you with a Scoring Average when you are not in one of our USGA licensed golf clubs. The USGA precludes us from providing any Handicap Index calculations if you are not in a licensed club. The Scoring Average is not a substitute for an official USGA Handicap Index, but does provide a solution for golfers that wouldn’t otherwise have access to handicap calculations. - Added Score Import from Golfer Info to make getting started even easier. - Become a chairman from Golfer Info. - Remove friends by swiping. - Various bugs fixes including those affecting our Friend Finder. 3.2.1 Updated Friends and Golfer Info tab to our new look and feel. We have also added the ability to socially share your posted scores with your Facebook Friends. - Friend finding (By Facebook Friends/Contacts) has been moved to the Friends tab. - We have added a Share Settings section to the Golfer Info tab. Allows you link/unlink your Facebook account (more social options coming soon), as well as choose how you want to share your scores. We have more great features that will be rolling out throughout the fall, enjoy! For those that haven’t taken the time to get a USGA Handicap, this is a great app. Especially if you’re just starting to record all scores to have a handicap when playing competitive events. (Not an actual USGA handicap, so make sure it’s not required) But this is pretty darn accurate and comparable to the paid version. Easy to use. Always wanted to know my handicap but didn’t want to join a club. I’m a duffer. This is so easy and now I can compete with my son-in-law without him having to give me strokes. It feels a lot better to be beaten by a couple of strokes instead of 10 or 15. I tell everyone I know they need to get on board! © 2017 XYZ Media Inc.